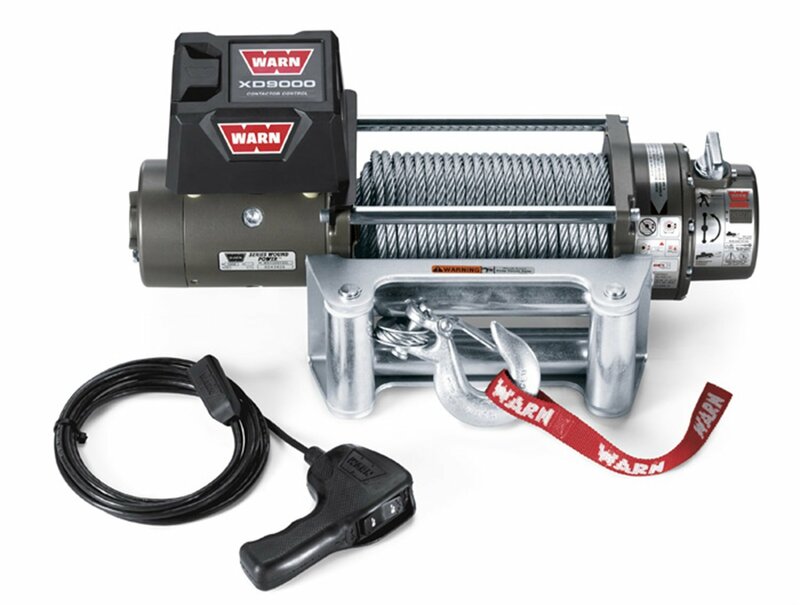 Warn Industries XD9000 9000-pound Winch has pulling capacity rated up to 9,000 pounds. It is a compact and efficient package that has the fastest no-load line speed of 73.4 feet per minute. This winch consists of the longest rope in the Warn self-recovery lineup wire rope that measures 150-feet long and 0.312-inch thick. It features unique spur gear drive train and upright design that is proven to be reliable and its braking system delivers smooth operation with excellent heat dissipation. 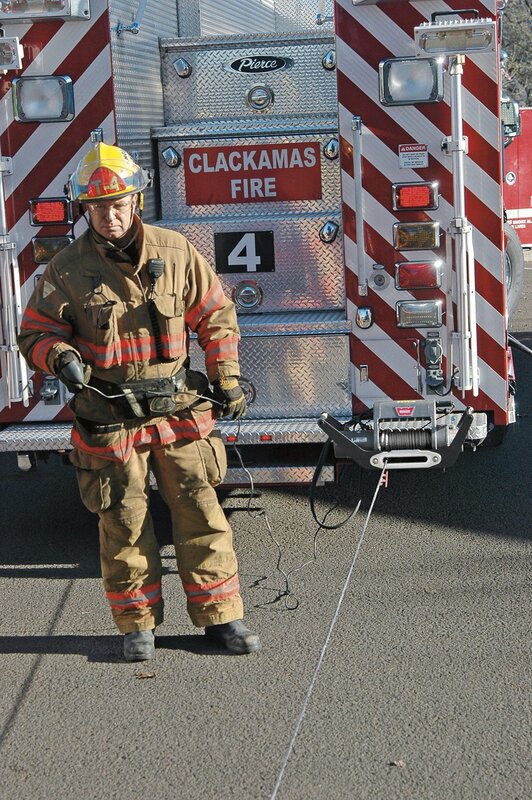 This winch includes roller fairlead, remote with 12-feet lead, free-spool clutch, and battery cables.